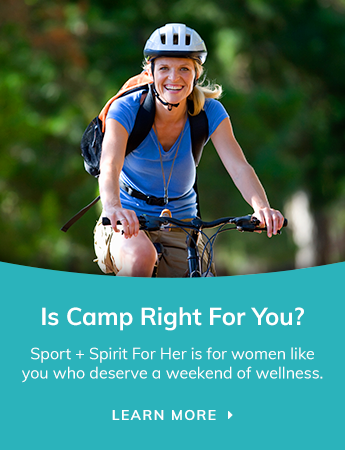 With Sport + Spirit Retreat, founder Sophie McLaughlin is bringing to life her vision for helping women explore their own personal journey to wellness. While growing up in Toronto, Sophie’s personal affinity to sport and recreation helped steer her interests as a youth, as well as her chosen education and professional occupations. Today, as a wife and mother of two, those interests have evolved into a personal journey of exploration and growth in wellness, further cultivating a new career vision…. Wellness Retreats and Events. It is a vision that has resonated with her clients, offering them their own avenue of self-exploration and wellness. Each retreat comprises an array of unique ‘Sport + Spirit’ experiences that clients can discover in a fun and nurturing environment. Designed in partnership with knowledgeable health and wellness practitioners, these experiences aim to educate and enlighten clients, making a positive and lasting impact on their wellness. Sophie holds a Bachelor Degree in Kinesiology and a Sport Management Certificate at York University in Toronto. She has built successful careers in both sport and event management, as well as continues to successfully co-own and operate Hockey Opportunity Camp, the ‘Ultimate Hockey and Summer Camp Experience’. Producing great events has always come naturally to Sophie. She is now taking that knowledge, experience and vision to new destinations, helping clients explore their own path to wellness. Every women should give herself the opportunity to start exploring her own wellness. No matter what stage of life you are at, there is always great benefit in 'mindfully' reviewing what you need and seeking out alternative options to achieve it.